This is a magical themed healthy children’s recipe book that targets the most difficult dietary areas: treats, snacks, and drinks. Eaten alongside a balanced whole foods diet, these recipes can add an extra boost of energy and get kids excited about healthy eating! How to Eat a Rainbow really teaches children how to fill their plates with fruits and vegetables in all the colors of the rainbow, and the importance of eating a variety of colors every day. Each recipe is a world children can dive into while they unpack the ingredients and make their own work of art. 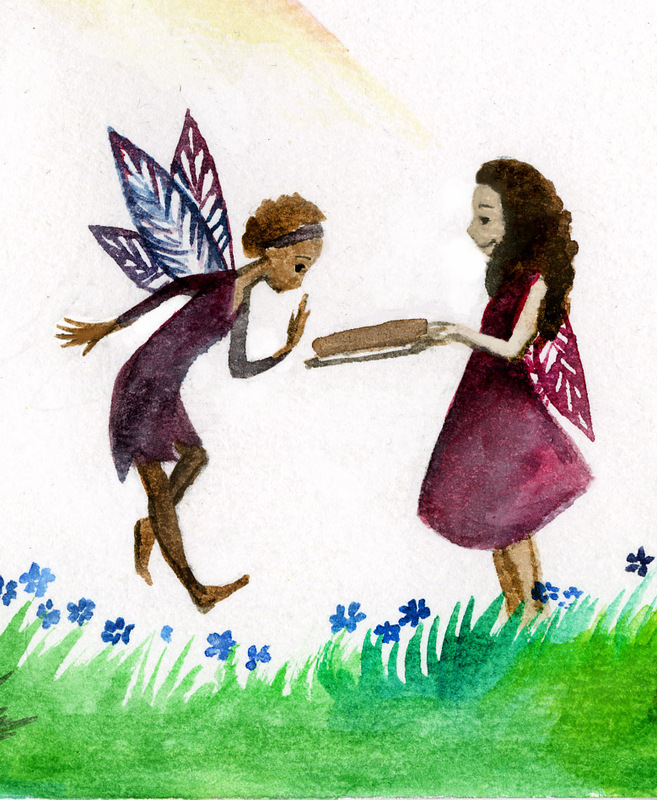 These fairies are hard at work (though some are a bit lazy) and are meant to feel like part of the team, chopping down towering stalks of celery, plucking grapes, and enchanting the seeds! Enchanting, beautiful and helpful. Ellie and Sabrina have done families everywhere a great service with this wonderful book. Well done and highly recommended. Getting kids to eat their veggies just became a whole lot easier! With simple and appealing recipes enhanced by delightful artwork, How To Eat A Rainbow makes healthy eating fun. We need more books like this in the world! What a great way to educate the younger generation about making healthy choices and avoiding damaging processed foods. Ellie Bedford asked me if I wanted to review her new cookbook “How to Eat a Rainbow”, I was quite excited. It is a children’s raw food book with pages full of colorful recipes made just for pint sized readers. I am not pint sized, but I love this idea! Teaching kids to have fun with their food, while being healthy. When I was a little girl I would have begged my Mom to buy me this book had it caught my eye in a book store. 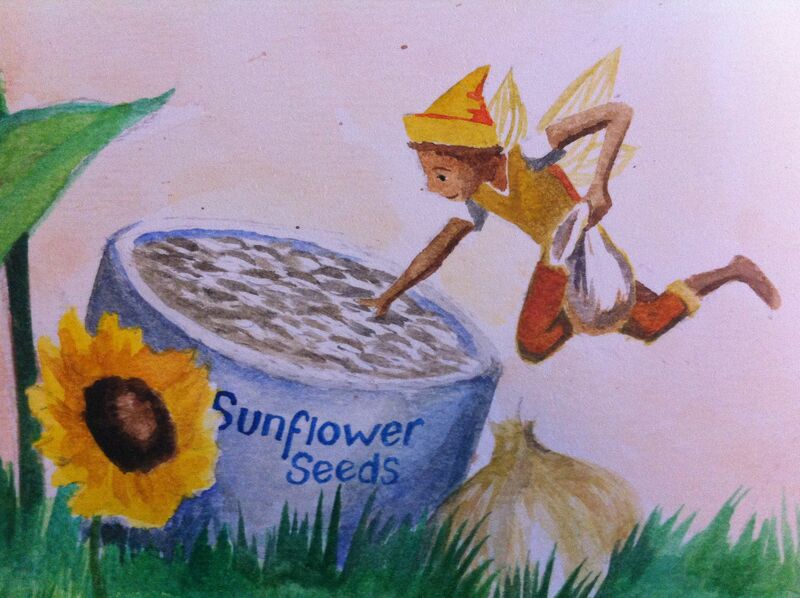 And it would have, because it is illustrated with the most adorable little fairies and photos. Not only are they adorable, they are hand drawn by the author’s sister Sabrina Bedford. The recipes are easy enough for children to make with a little help, and all brightly colored. Things like Sunflower Power Seed Pate, Green Goblin Smoothie, and Peppermint Cream Clouds. The names of the dishes alone would have made me want to make them when I was little. I made some of the “Purple Haystack Salad” to go with my lunch, because I can not resist beets and citrus and it sounded lovely. It was simple to make, and so delicious! If you are trying to make raw foods appealing to your children, this book is for you! The recipes are accessible to children, simple enough to prepare, beautiful, and they taste good (and we all know how important the looks and taste of foods are to youngsters). We just received the masterpiece!